Home	> Insiders	> Luke H.
I completed a 4 year Mech/Elec apprenticeship at Carnaud Metalbox, ending in working in the Can Making Engineering Workshop. I continued my studies for another 2 years during this. I moved to Toyota after this to become a Maintenance Member maintaining car manufacturing equipment. I learnt new techniques, processes and skills. Further opportunities presented themselves at Imperial Tobacco, and I joined the largest tobacco manufacturer in the UK. I worked with, repaired and maintained high speed production machinery and equipment. Production moved abroad and the factory closed. I wanted a new challenge and to work, and showcase, my skills for a well established, successful company. 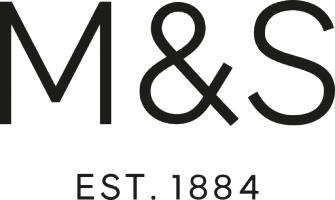 M&S had recently opened a flagship distribution centre and aiming to become a big presence online and they needed maintenance engineers. The variety of the role sounded great: replacing components, climbing cranes, running equipment, supporting and training, continuous improvement, maintaining automation and liaising with OEM. I enjoyed engaging with and supporting colleagues. I moved into the Lead Engineer role where I could use my skills to further help, develop and support colleagues and the Engineering Department. As a Technical Asset Engineer, my main focus is to improve the standards of the automation, engineering processes and systems. I support the wider engineering team to deliver excellence through effective processes and ways of working; driving availibility for the customer. Castle Donington Distribution Centre Engineering is developing it's training and development programs. As part of this, I have taken the opportunity to support this by taking my NVQ Assessor qualification. The variety of what I do. I'm involved in a different aspect of engineering from what I'm used to and it's great for my personal development as I'm learning lots of new skills. Marks and Spencer are providing me with plenty of opportunities for training and gaining experiences. I enjoy working with various members of engineering and operations - discussing and sharing ideas and challenging our different points of view. Take every opportunity that you get. It's better to regret something you have done than something you haven't. Listen and absorb as much as you can from experienced, talented people. Reach your goals from your own hard work - pull yourself up, not others down. During my time as a Lead Engineer, I lead a team of 12 Inspection Technicians. We had a lot of new starters on shift in a short space of time. I, with the rest of my team, trained them and familiarised them with our equipment and processes. I mentored and supported them during this time and they developed into a fantastic team of high performing individuals.